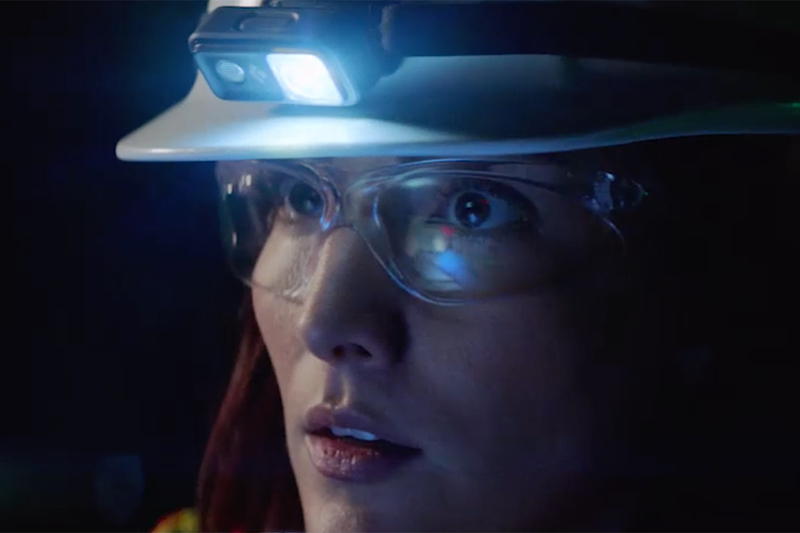 IBM is debuting two ads starring filmmaker Ridley Scott, actress Carrie Fisher and its Watson cognitive computing system during the Academy Awards broadcast Sunday night. In one spot, Watson talks to Mr. Scott -- director of best-picture nominee "The Martian" -- about visual storytelling. In the other spot, actress Carrie Fisher (from "Star Wars"), leads a support group for outdated robots and invites Watson to help them confront their issues. 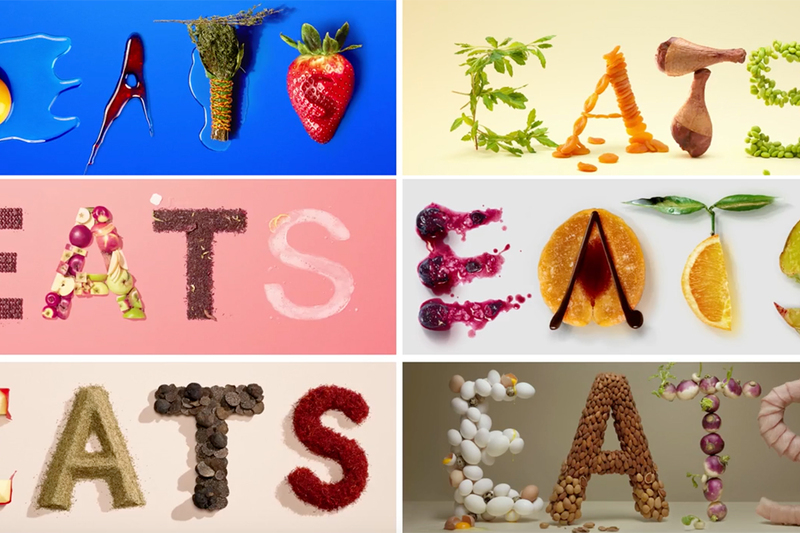 The ads were created by IBM's agency of record Ogilvy and Mather. "We have seen, through the very creative talent of Hollywood, a very different depiction of what artificial intelligence is all about," said Stephen Gold, chief marketing officer of IBM Watson. "We want to dispel the dystopian view of artificial intelligence and show how individuals, organizations and professionals are using AI technology today to take on very important challenges and business problems." 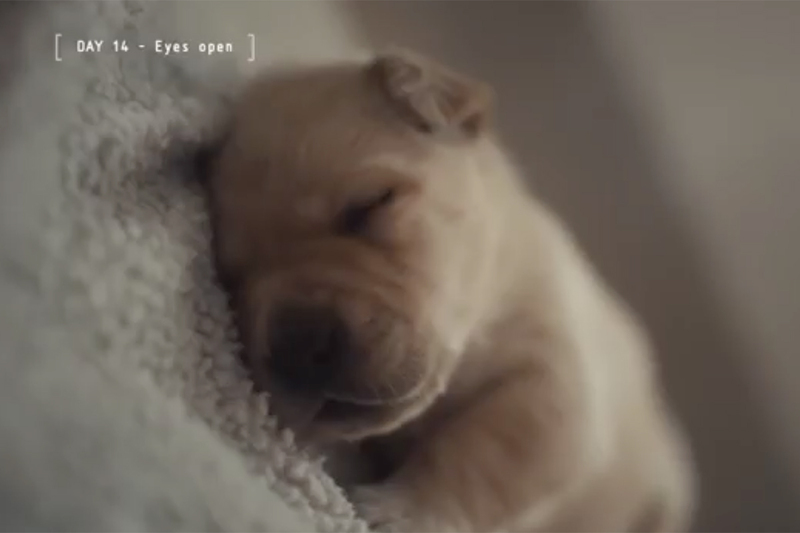 "The Ridley Scott spot is an extension of what we've been doing with the 'Watson and Me' ads, in which a notable person is talking to Watson about a topic -- from education to language to food -- and they are learning from each other; that is how Watson works," said Ann Rubin, VP-content and global creative at IBM. 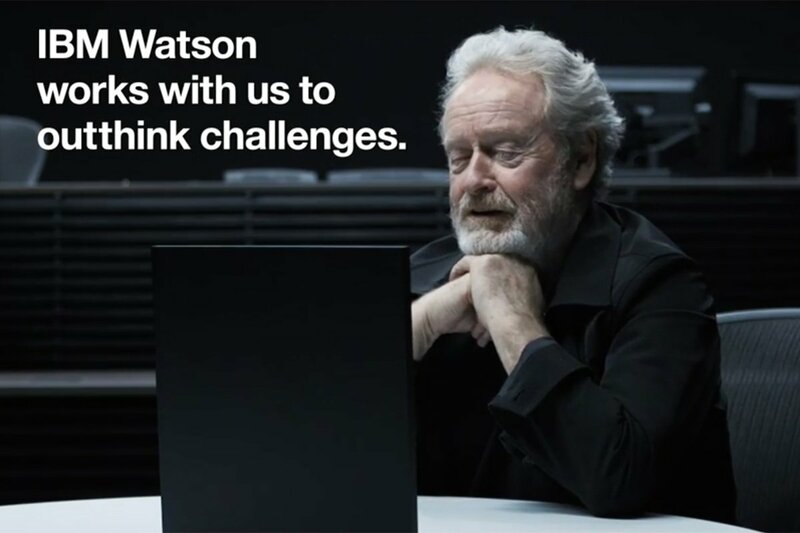 In the ad, Watson says he's analyzing images for factory managers, salespeople and healthcare professionals. Mr. Scott tells him that's not exactly "movie material," to which Watson replies, "Perhaps the healthcare professional could be played by Matt Damon (best-actor nominee for 'The Martian.')" Previous "Watson and Me" ads have featured folk rock legend Bob Dylan, behavioral economics professor Robert Thaler and former "Jeopardy" champ Ken Jennings. In the Carrie Fisher ad, Watson joins a support group of outdated robots, who are upset they are being replaced by newer technology. "It's like the world doesn't need us anymore," says one robot. Mr. Fisher says she invited Watson to "confront the source of our anxiety." Watson tells the group he's a cognitive computing system that works with humans to understand reason and learn. The bots say they're not interested in working with humans and take a coffee break. IBM has also created a series of videos featuring each robot, including Gadget Bot, Duster Bot, Shy Bot and others. The bots will also be live-tweeting during the Oscars, reacting to the winners and events on stage.